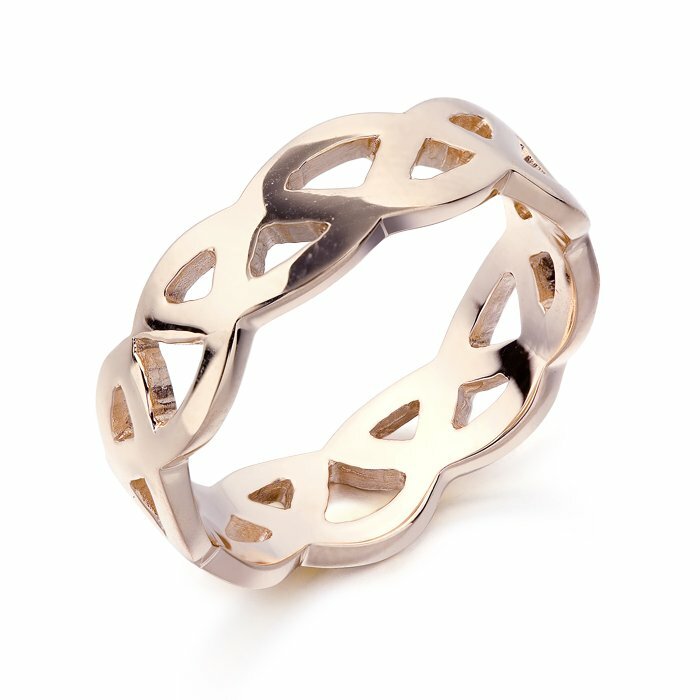 9ct Rose Gold Unisex Celtic Wedding Ring. Perpetual looping of the design suggests eternity and interconnectedness. Celtic Ring ideal for Men and Women. In this Celtic Wedding Ring perpetual looping of the design suggests eternity and interconnectedness, making this design the ideal pattern for your big day and perfect piece of Irish Jewelry. Functional and alluring, this Celtic knot band shows no signs of a observable beginning or end. Also Celtic knot band is ideal to wear everyday as informal piece or dressed up for a night on the town. Finally, Take advantage of our free worldwide Delivery. 9ct White Gold Celtic Wedding Band. From the famous Celtic knots to the ancient New grange spirals, each Celtic Ring depicts a piece of Celtic art and history. 9K Gold Unisex Celtic Wedding Ring is timeless and has a prominent place in the cultures of Asia and Europe for thousands of years. Copyright Claddagh Ring Jewelry . All Rights Reserved.